We've seen some pretty bad performances in Tamil cinema in 2015. The actors listed below were especially bad. Much was expected from the duo that gave us the brilliant 2011 film, Engeyum Eppodhum -- director M Saravanan and actor Jai. Unfortunately, their 2015 film Valiyavan was a total disaster, with an over-the-top performance by Jai, who is usually known for his natural charm and spontaneity. Cinematographer-turned-actor Natarajan Subramanian aka Natty wowed the audience in Sathuranga Vettai, one of the biggest successes of 2014. 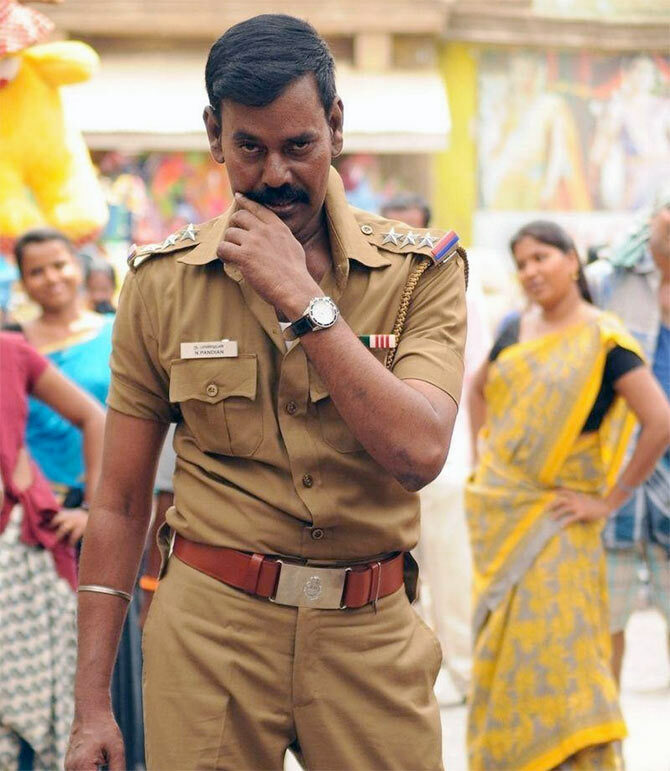 But his performance as the loud, brash and crude police officer in Babu Thooyavan's Katham Katham held little appeal. The novelty of the hilarious Arya-Santhanam combination that rocked in films like Boss Engira Bhaskaran and Raja Rani is fading fast. After numerous films with unending alcohol and sexist rants, the duo's latest outing Vasuvum Saravananum Onna Padichavanga appears trite and hackneyed. Vadivelu has a large and loyal fan following. His wacky sense of humour and impeccable comic timing are legendary. Sadly, both seemed to be missing in his latest venture as a lead hero, Eli -- a tedious spy thriller directed by Yuvaraj Dhayalan. Arulnithi, grandson DMK supremo M Karunanidhi, did quite well with the horror comedy Demonte Colony that released earlier last year. But the success was marred by the disastrous Naalu Policeum Nalla Irundha Oorum that turned out be an exercise in patience.